Hello All, Tastebud A back in action today! Ritter’s Diner is a Pittsburgh Tradition for most. It is one of the best and most reasonable places for an early morning breakfast or a late night snack after visiting the Bars. Ritter’s is open 24 hours a day so you aren’t just limited to a Dennys or Eat ‘n Park! 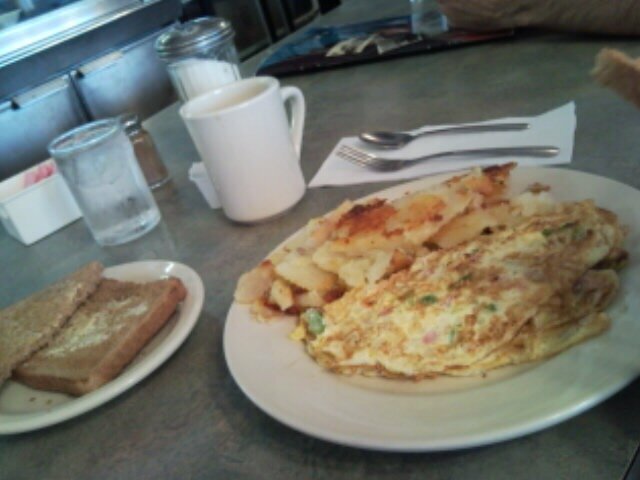 So if you like good old down to earth diner food then Ritter’s Diner on Baum Blvd is the place to go. Don’t be afraid of the wait staff either, they may have a bit of an edge and their uniforms aren’t the most fashionable either, but they will give you the best service. Your cup of joe will always be full. Oh and don’t forget…ITS CASH ONLY! 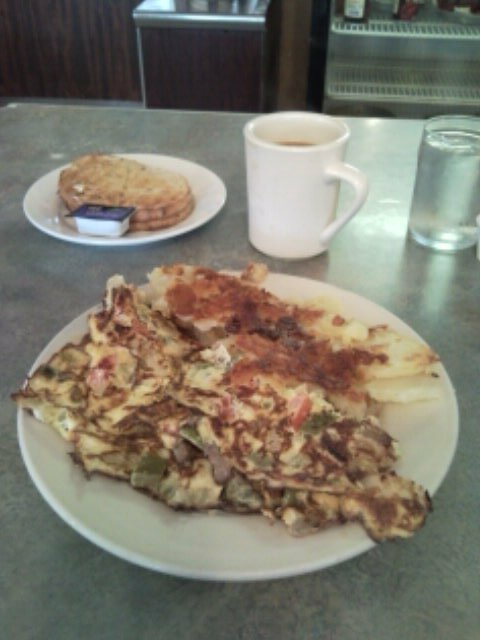 One of my favorites at Ritter’s is their Western Omelet with Homefries and Wheat Toast with a cup of hot coffee (pictured above). Also, another good menu item is their Friend Green Tomatoes…yup, you heard me right! Just like the Movie! They are fried to perfection and tasty. Don’t forget to ask for some ranch dressing on the side! The whole breakfast was great, came out hot and full of flavor. Seating can also be a lot of fun, each table in the front of the diner has mini juke box where you can play many of your favorites. Tastebud B and I didn’t feel like waiting so we decided to dine at the Bar and watch all the action take place! So the next time you are in need of a good breakfast, down home cooked dinner or a late night snack, go visit Ritters Diner!